Home > Machining > Kaymor, Authorized Dealer for Mecalac Compact Equipment. Kaymor is proud to announce that they are the authorized dealer for Mecalac compact equipment. Covering all of Alberta and northeaster BC. 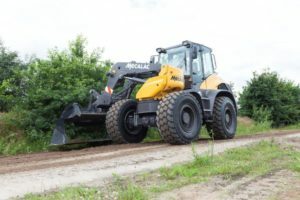 “Innovation, accuracy and the search for performance have been the leading key words of our company’s vision”, as stated by Henri Marchette, Chairman and CEO Groupe Mecalac S.A. Mecalac specializes in compact construction equipment, with multi-function capabilities that will reduce the number of machines on a job site. 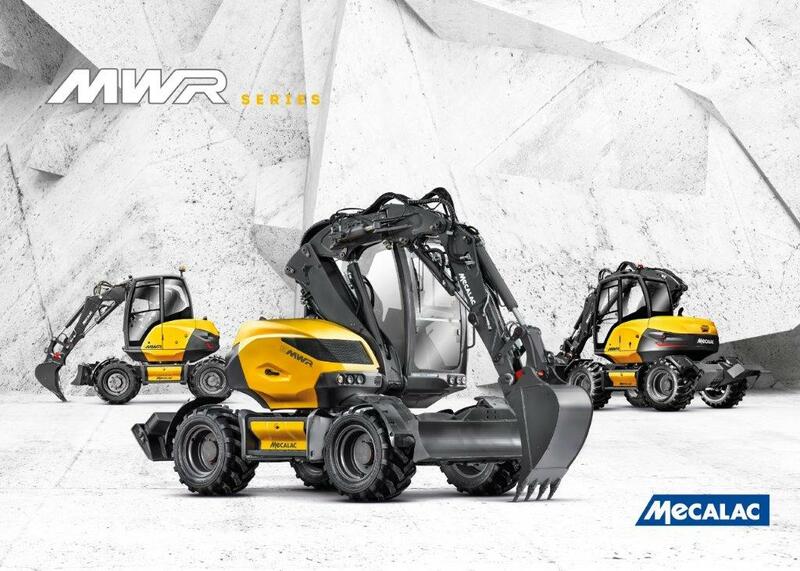 Mecalac offers the following machines: MWR wheeled excavator, MCR track excavator, AX loader series, AF loader series, AS swing loader series, TLB rubber tire backhoe, site dumpers and compact rollers. These will be offered through the Kaymor dealership. An example of Mecalac`s innovation is the MWR series rubber tired excavator that reduces maneuvering operations. 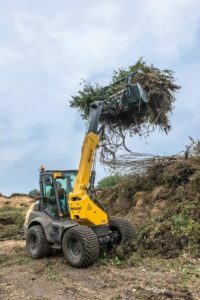 A lower center of gravity, 4 steering wheels, 360 rotation without moving the machine, and CONNECT quick coupling (for ease in attaching and detaching a variety of tools), make MWR the ultimate machine for all your compact equipment needs. The MCR series is the track version, of the MWR, with the same capabilities. 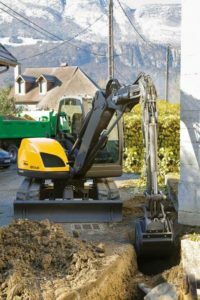 In one compact unit, MWR or MCR series, can replace an excavator and a skid steer. This allows for a smaller environmental footprint and more cost effectiveness for any business. As Kaymor offers a wide variety of services, such as, machining, welding, mechanical and hydraulics, there is no need to worry about repairs or maintenance for the Mecalac compact equipment. Kaymor is also equipped to design and manufacture any specialty attachments that you may need. Quality, Innovation, Trustworthiness, Honesty, Reliability and Accountability are some similarities that both companies have for their visions and values, making them a great fit. For more information on the Mecalac line of compact equipment, call Kaymor at 780-538-2623 and ask for Les Kerik.